If you see a "Donate" link instead of a "Cash Out" link, this means you have donations turned on. You can toggle Donations on or off on your Profile page. 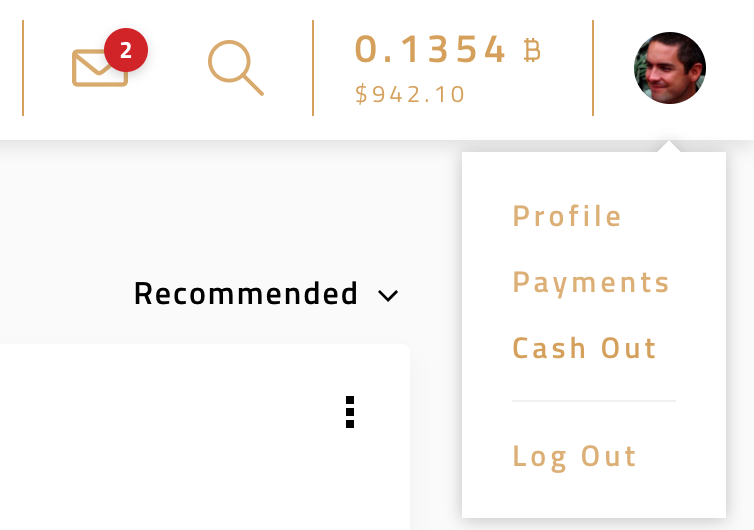 The minimum cash out amount is $2 plus Bitcoin network fees. You must be a verified user in good standing to cash out.